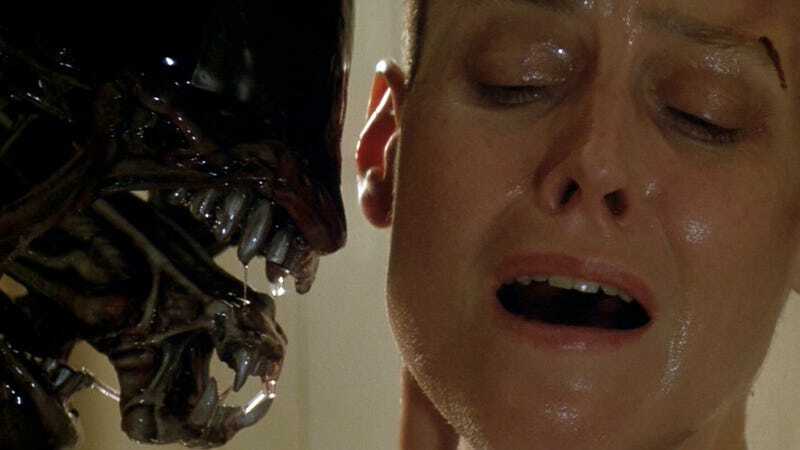 In a new interview, the actress who played Ellen Ripley in four Alien films (and will reprise the role in a fifth one soon) said the reason she wanted the character killed in David Fincher’s Alien 3 is explicitly because of Alien vs. Predator coming to the big screen. Alien vs. Predator was released in 2004 and made enough money that a sequel was made in 2007, Aliens vs. Predator: Requiem. Both films have their fans, but the prevailing consensus on them is they more or less set back both franchises. “In fact Ridley Scott was about to direct a third one, until this was announced, and he dropped out, because he also wanted to do an Alien sequel,” Weaver said. “I think it caused more problems than it was worth.” Eventually, Scott did revisit the world, by making the prequel Prometheus—and he may yet make a sequel to that. The Alien franchise is far from dead though. Neill Blomkamp (District 9, Chappie) is working on a new Alien, one that’ll bring back Weaver and most likely Michael Biehn too.